My husband & I adopted a beagle from BREW in 2010. 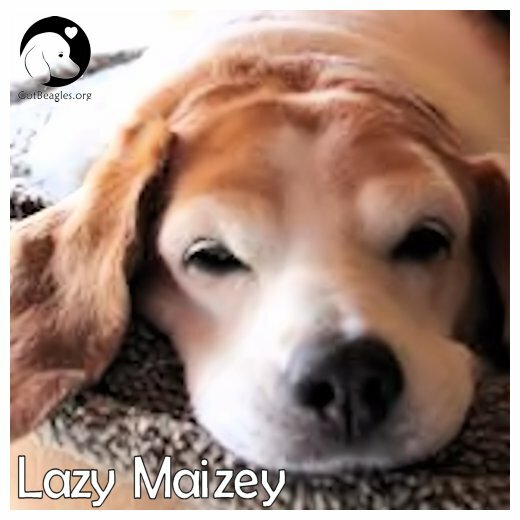 At the time her name was “Pretty Girl” but we changed it to Lazy Maizey. Just before Thanksgiving 2014 we had to put Maizey down. It was absolutely heartbreaking but she was suffering too much. She was 11 years old. She has left a hole in my heart as well as my husband’s. She brought immense joy to us, we could not have asked for a better companion. I just wanted to say Thank You for giving us the pleasure of having such a great dog. I would encourage anyone to adopt from your agency. We will be donating to the AARB Seniors program in her honor.